Grain dishes don’t have to be boring. 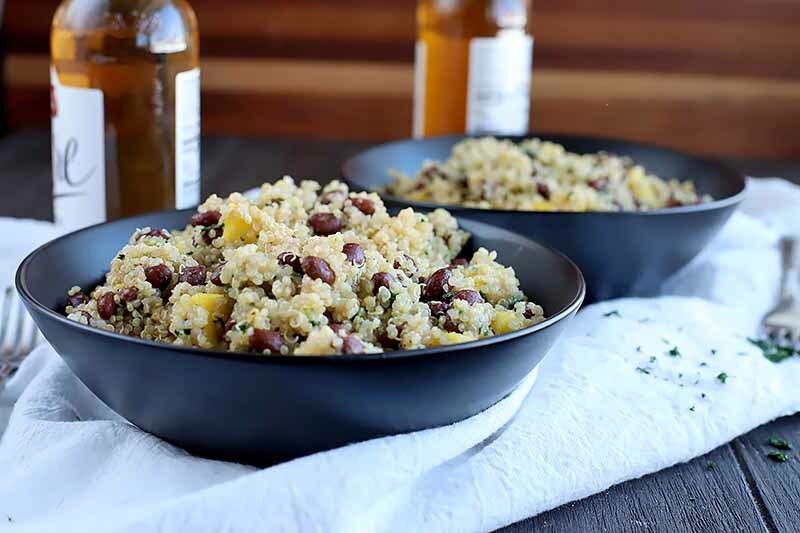 To prove it, make this hearty and tropical black bean mango quinoa recipe this week! 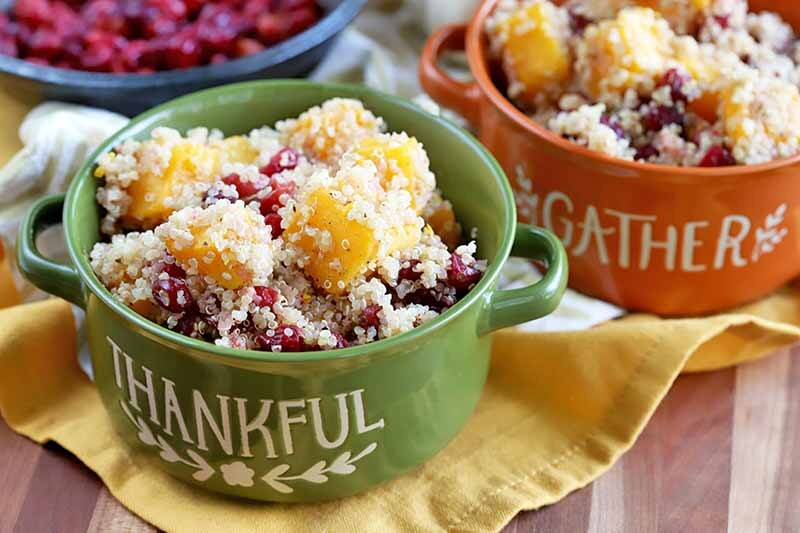 The combination of spices, citrus, fruit, beans, and pseudograins will leave you in utter amazement that a simple and healthy vegetarian main dish could taste so darn good. Get the recipe now. In search of an easy, healthy recipe for dinner? 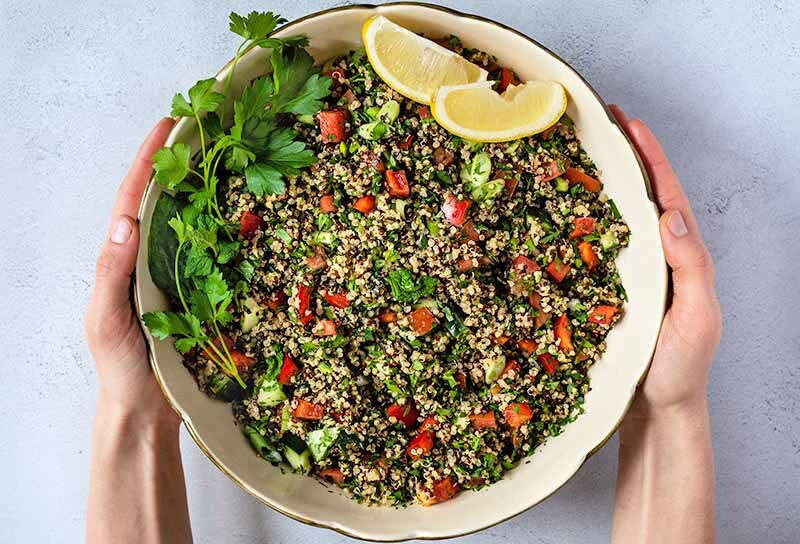 Look no further than this delicious Gluten-Free Lemon & Herb Quinoa Tabbouleh. Loaded with real ingredients, plenty of herbs, and a burst of lemon, this dish will keep you happy and healthy! 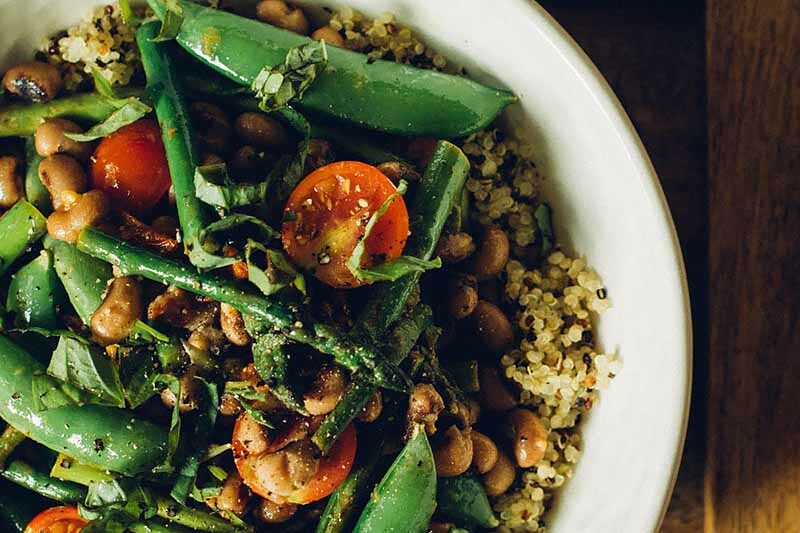 Gather those fresh ingredients and make this savory recipe for dinner tonight. Eating healthy never tasted so good! 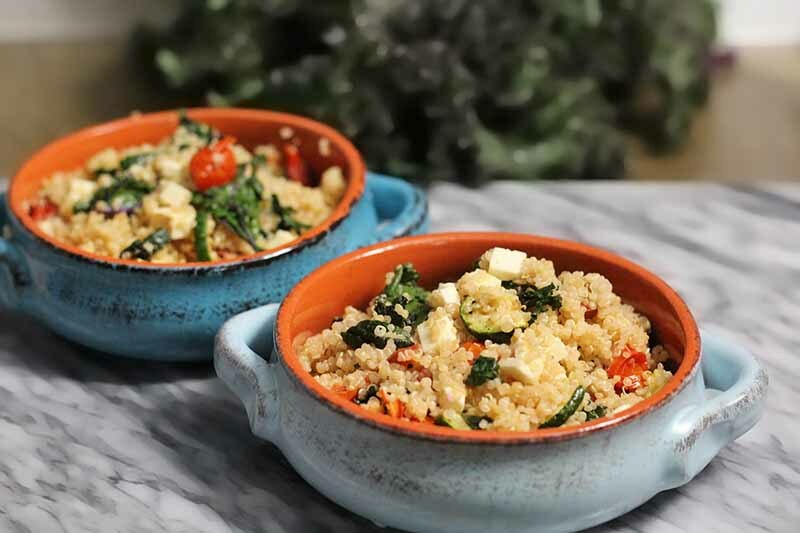 Filled with roasted zucchini and tomatoes, sauteed kale, feta cheese, and fresh lemon juice, every bite of these quinoa bowls is packed with flavor. These bowls are also perfect for meal prep, as they can easily be made a day or two ahead of time. Get the recipe now on Foodal! Need a super easy meal with a meaty main? 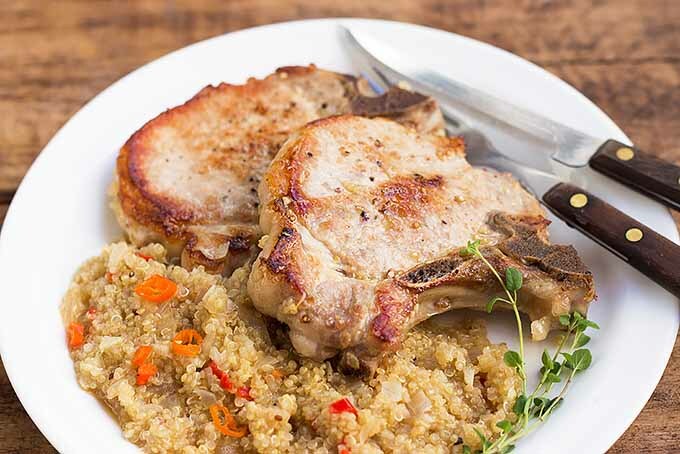 Our recipe for simple skillet pork chops with quinoa is a tasty mix of healthy ingredients. It’s the perfect gluten-free and paleo meal, all made in just one pan. 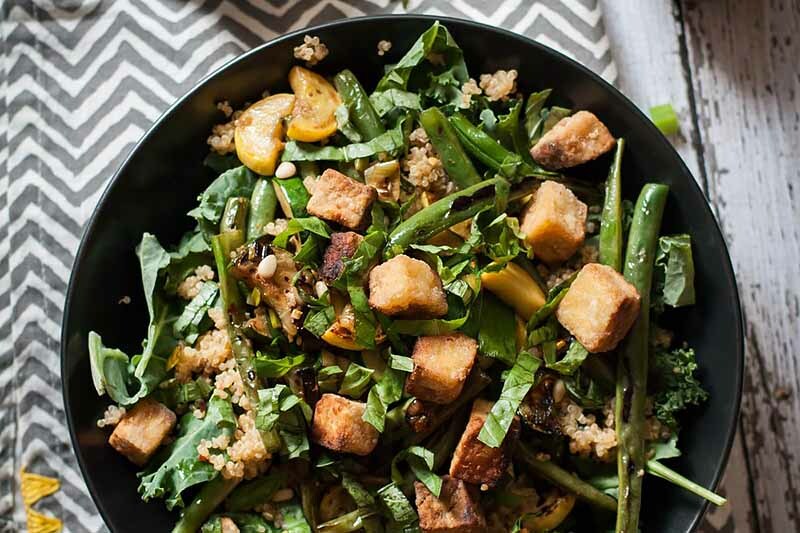 The quinoa is cooked in the same pan as the pork and veggies. So easy! Get our delicious recipe now on Foodal. 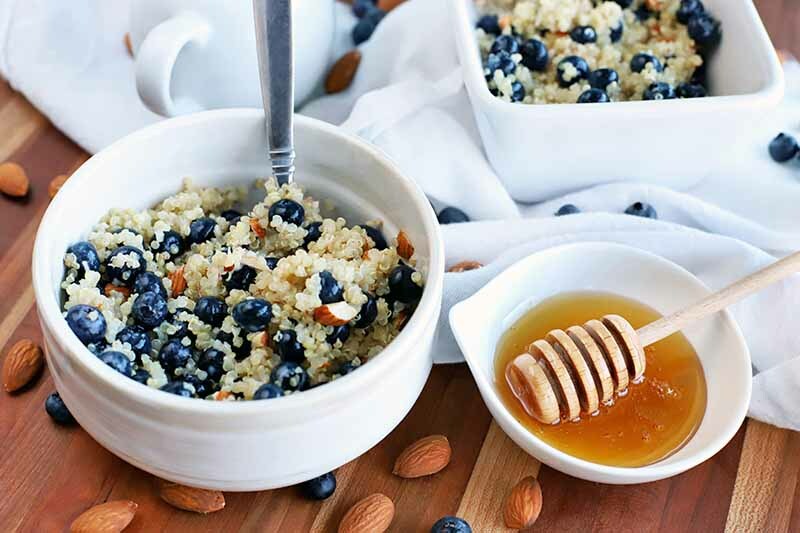 If you enjoy eating a bowl of warm oatmeal, but would like to try something different, here’s a protein-rich option that uses quinoa instead of oats. 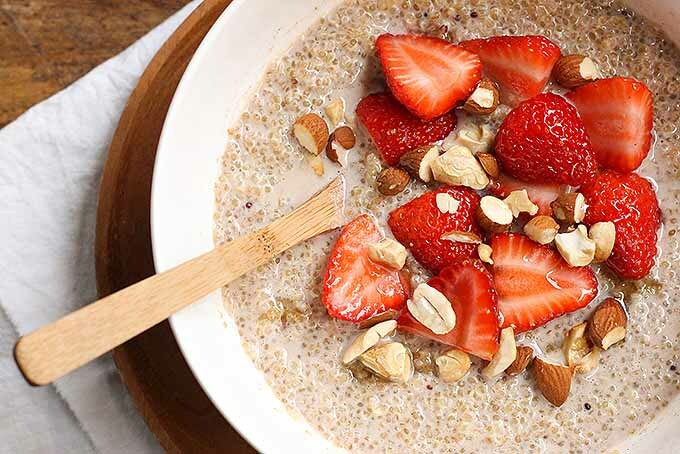 Made with white quinoa, coconut milk, sweetened with vanilla and honey, and garnished with almonds and strawberries, this is one healthy and delicious way to kick off any morning. Let’s get the recipe from Foodal today! If you’re trying to curb your between-meals snacking habit, you need to make sure that you’re eating protein-rich food. 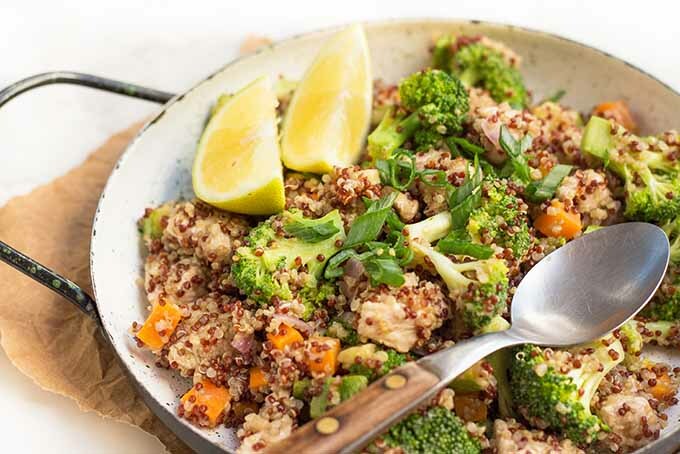 This recipe for lemon chicken quinoa bowls is packed with protein to keep your tummy satisfied for longer, and give you the energy you need for long days. 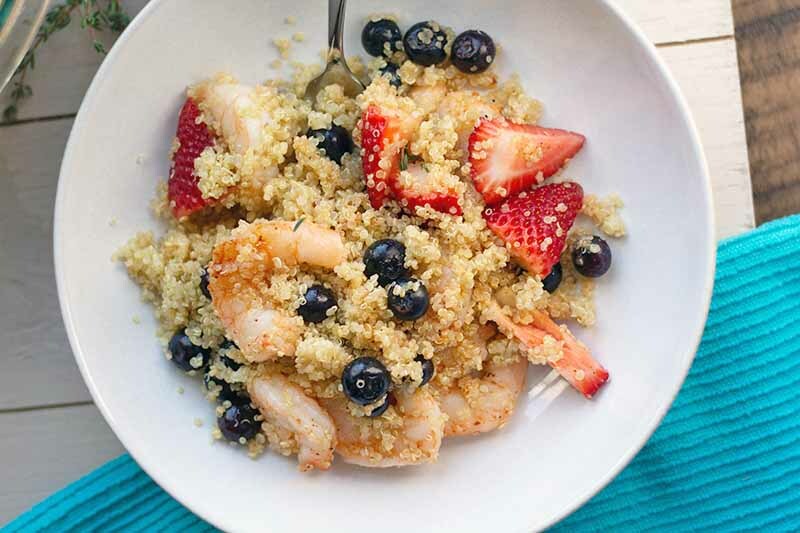 Are you ready to fuel up on this amazing dish now? Get the recipe from Foodal today! 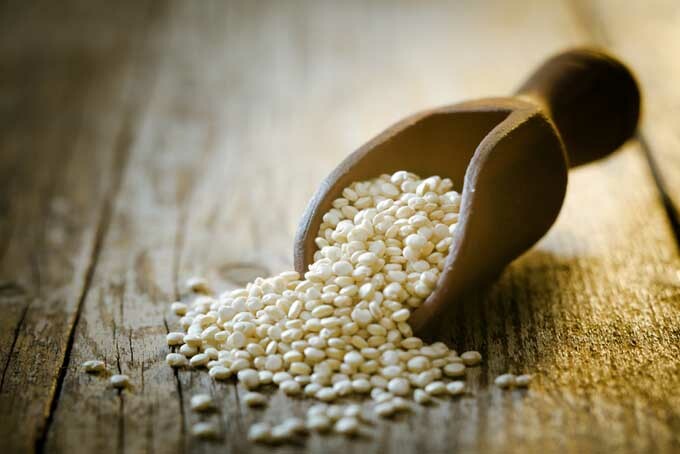 Quinoa – once a staple crop of much of Central and South America – has recently experienced a dramatic increase in use throughout the world. A complete protein along with carbohydrates and micro-nutrients makes this wonderful plant a super-food fit for any foodie.